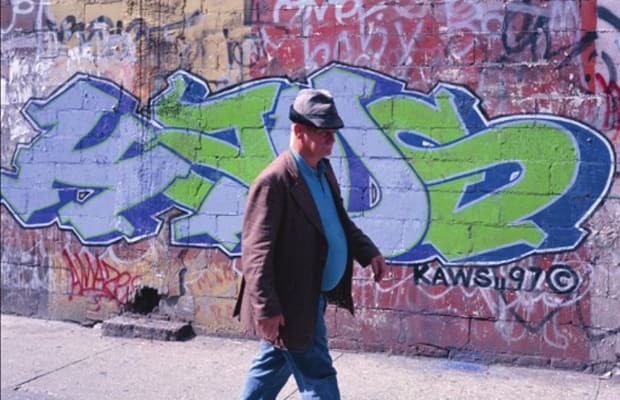 KAWS originally got his start as a graffiti writer in the mid '90s, tagging locally in New Jersey, New York, and later Tokyo. He was a member of the DF, FC and TC5 crews. This was KAWS' first platform to an international audience. Erik Parker: "KAWS is very well centered and put together, even all the time. He's able to do that. For me it's been inspiring within my own work, just watching how this dude gets down."